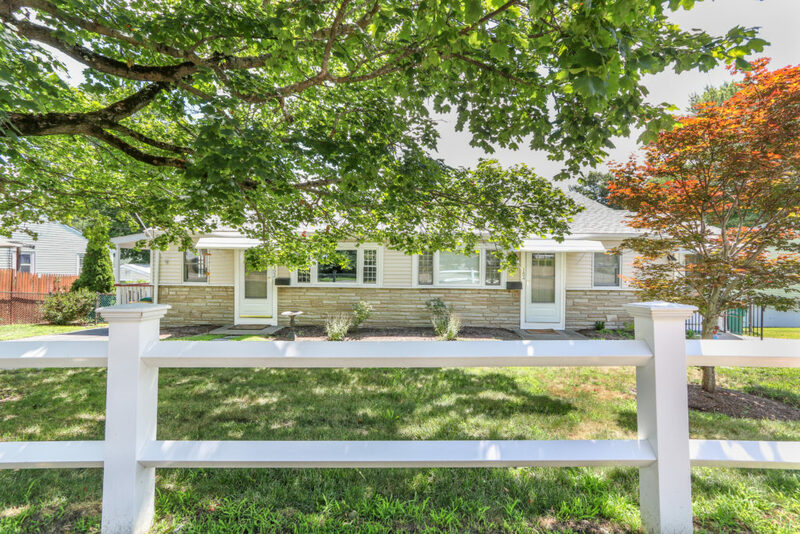 Fantastic opportunity to own a duplex style two family on the Norwood Westwood line. Home has been wonderfully cared for and updated as needed with newer Heating and AC systems, Roof, Driveway, paint, exterior,all done within last 7 years. Hardwood floors all in great condition. Both units are turnkey with small deck off each side and nice deep yard. Each side has own driveway for parking. First unit has two bedrooms, Eat in kitchen, Living room and full basement with laundry and Semi finished area has walkout to level manicured back lot. Second unit has updated eat in kitchen with living room, two bedrooms, updated bath and full basement with laundry. Gas heat for both units. The home is on the bus line and walking distance to shops and restaurants while just minutes to University Station or Islington train. Appointment needed to show. A great investment.